This week, there was much discussion and speculation around Gary Illyes claimed that you can’t know which links are critical, and how webmasters should understand what he was saying and why. The community also talked about what they hope to gain from when Google switches to mobile first indexation. Also as study shows that up to 87% of social shares go unattributed. Webmaster World members commented on the statement from Illyes that its close to impossible to determine which links are critical to ranking. If I were a gigantic data-processing machine with an AI development programme, unparalleled in-the-wild usage data, and a sudden influx of user-provided disavowals, I would have combined the lot and started ignoring paid links. What are you expecting from the “Mobile-First Index” ? Members discuss what their hopes are after Google fully releases mobile first indexation. Peter S mentions his careful optimization of his web server and his performance optimized homegrown CMS will be rewarded with improved rankings. keyplyer states that he hopes his ‘not watered down’ full featured mobile site gets rewarded. Nomis5 adds that the niche that you’re in will likely be a factor. “In my niche I suspect mobile first will force even more amateur sites to stop updating and being left as legacy sites. Your average amateur webmaster has become overwhelmed by all the recent and proposed changes. AMP, https, mobile first, responsive design etc. have all stretched many to the limit of their technical capabilities. What I find absurd is that I can convert my websites to a responsive design but Google are unable to convert their SERPS to be responsive. Why on earth should there be only be a SERPS for one type of device? Google are either just plain lazy or not as clever as many suppose them to be. Is “mobile first index” code for “mobile only index”? “All of which means the move is to the lowest common denominator (user) and their access to the web. G sees mobile as the cash cow and wants to serve that market and suggests to all who want to play, to make the change. A recent study shows that many social shares are invisible using todays available methods, citing as many as 87% of socials shares being ‘dark shares’ because they are shared over slack, WhatsApp, read later apps, Facebook messenger, Twitter/LinkedIn, and email. Google has been adding a an option for ‘User First beta program’ for some users. Many members of Webmaster world commented that there are lack of details that make the program unhelpful. 20 Years Later…what Skills Are Necessary To Be A Competent Technical SEO? 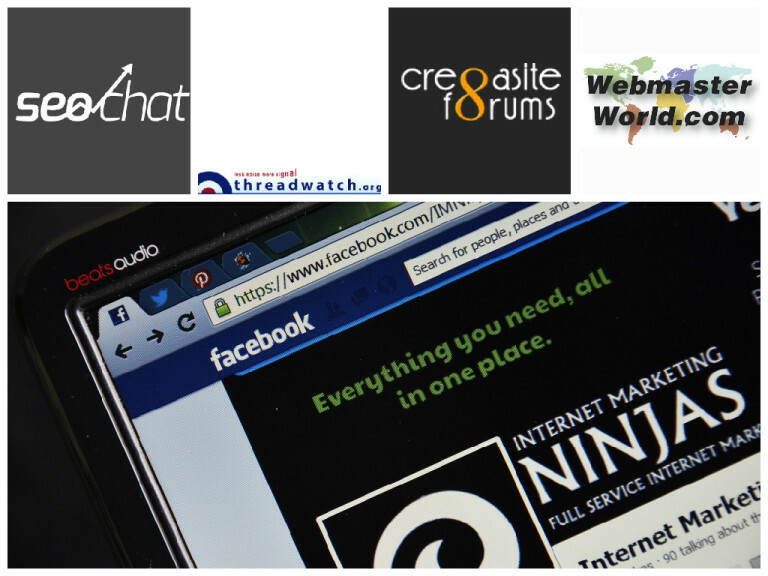 Senior Crea8asiteforums members discuss what skills are needed to be a great technical SEO today. Grumpus also adds that where many sites go wrong is that that they don’t optimize the whole site, and only optimize select pages because of budget limitations. Illustrating some of the uses of machine learning, Google engineers developed a method bulk remove watermarks from photos, as mentioned in a recent paper, “The Effectiveness of Watermarks” that highlights an inherent security flaw in their use. I used to be one of those folk that stressed link building back in the day. I never did paid SEO link building because I heard through the Grapevine “the wind whistled in my ear and I kept it a secret,” that paid links are “Black hat SEO.” And I couldn’t be caught doing that. But I did buy an article marketing spinning and submission bot before I found out that too stands in the same class a “Black hat SEO link building.” So I did away with that and write all my natural content myself, even if the content I write at times sounds off key or not making a complete point.